Producer Jonathan Murray (Project Runway, Born This Way) will present a special honor to Elaine Frontain Bryant, Emmy-winning Executive Vice President and Head of Programming for A&E Network, for her dedication to the special needs’ community at the Ed Asner Family Center’s first annual A NIGHT OF DREAMS Gala. The Gala will also honor Emmy winning actor Ed Asner and world-renowned celebrity chef Art Smith, who will also be catering the Orchestra level with his culinary delicacies. Hosting the evening will be Emmy-winning comedian Wanda Sykes. Grammy Award-winning music legend Peter Frampton will headline the Gala along with performances by Naia Izumi, NPR’s 2018 Tiny Desk Contest Winner, among others. The Ed Asner Family Center’s mission is to promote self-confidence in differently abled individuals and bring balance and wellness to those individuals and their families. The Ed Asner Family Center presents A Night of Dreams, a night of music and philanthropy starring legendary musician Peter Frampton, hosted by Emmy-winning comedian Wanda Sykes. Entertainment will also include a set by Naia Izumi (NPR’s 2018 Tiny Desk winner), among others to be announced. Emmy-winning actor Ed Asner, world renowned celebrity chef Art Smith and Emmy-winner Elaine Frontain Bryant, Executive Vice President and Head of Programming for A&E Network, will be honored for their dedication to the special need’s communities. A Night of Dreams Gala will take place on November 15, 2018 at Exchange LA Downtown. The evening will kick off with Chef Art Smith preparing his famous fried chicken and hummingbird cake dinner family style for the main floor guests. Joan’s on 3rd will be providing platters for the mezzanine seating. The program will also offer an exclusive silent and live auction, as well as a “Fund-A-Mission” auction where guests will have the opportunity to support special The Ed Asner Family Center initiatives including summer camp for kids with autism and other programs for the community. The Ed Asner Family Center is dedicated to promoting self-confidence in differently “abled” individuals, bringing balance and wellness to them and their families. The Center not only caters to the needs of the special child but aims to engage the whole family in order to help them face their unique challenges. 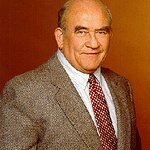 For Information and Sponsorship opportunities about The Ed Asner Family Center, contact Navah Paskowitz-Asner Navah@edasnerfamilycenter.org. A Night of Dreams Gala is proudly sponsored by Plush Beds, Lucky 8 TV, Megalo Media, Big Fish Media, Sony Pictures Entertainment, CBS, IPC Television LLC, OrigProd, Netflix, Renegade, Sprouts, Newman Aaronson and Vanaman, Wolcott Architects, Haworth. In-Kind sponsors include Toki Doki, Cobrum Estates Olive Oil, Southwest Airlines, Sprouts, Custom Comforts, Braemar Country Club, Glorious Pies, Retrove Skin Care and Lavender Blue.